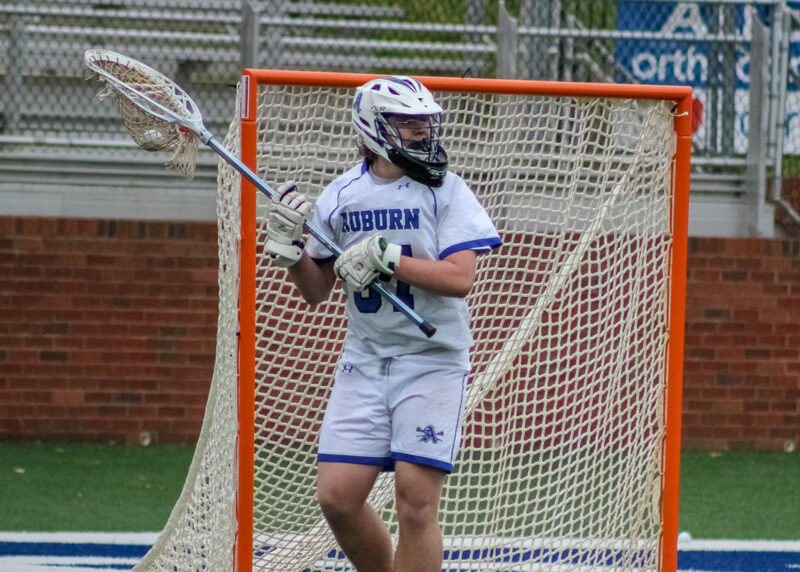 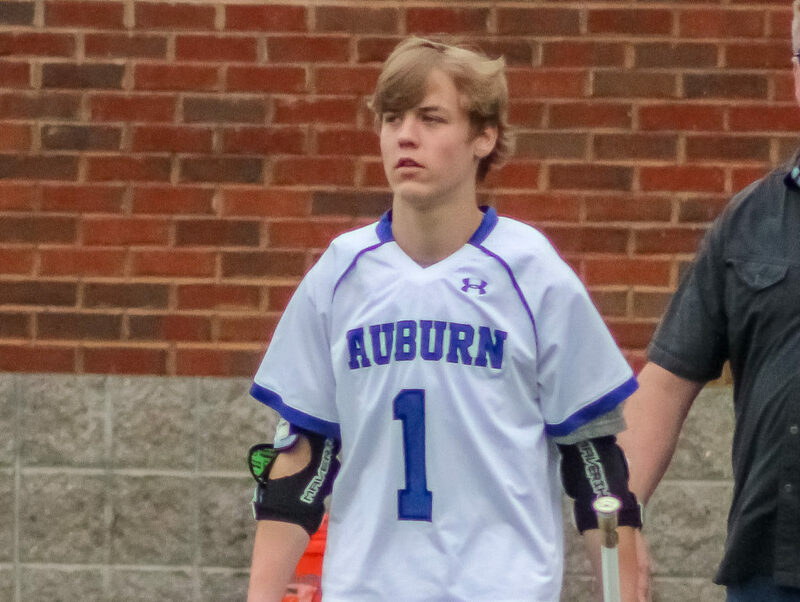 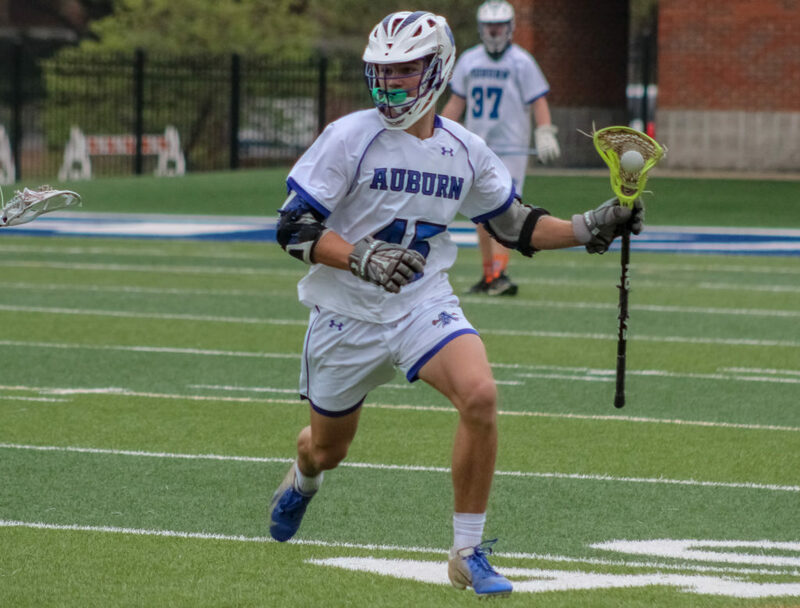 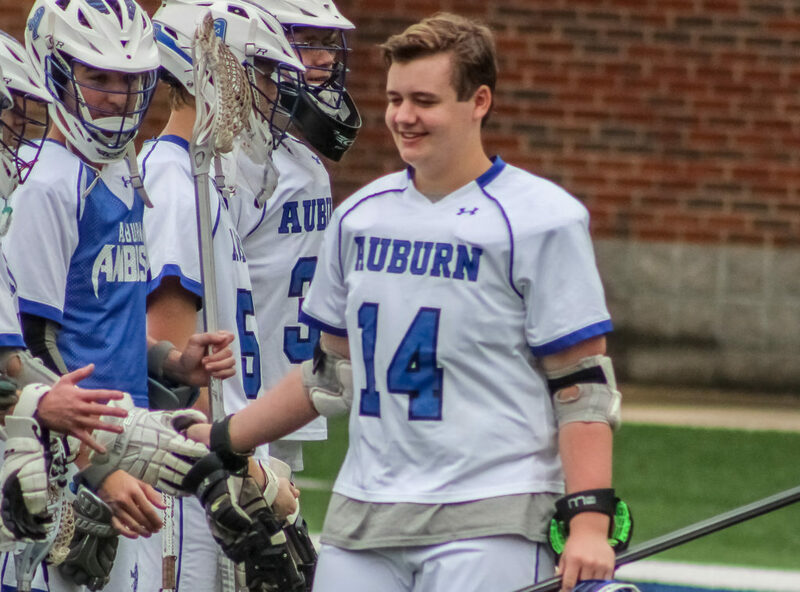 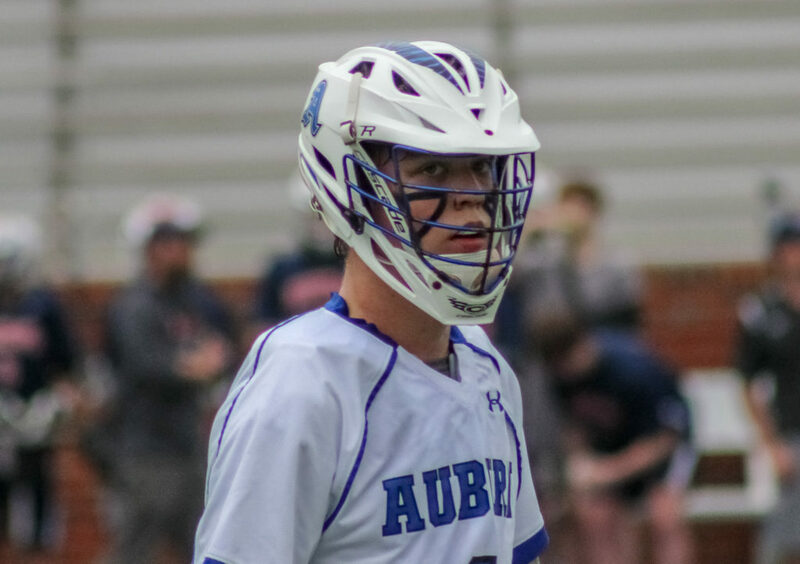 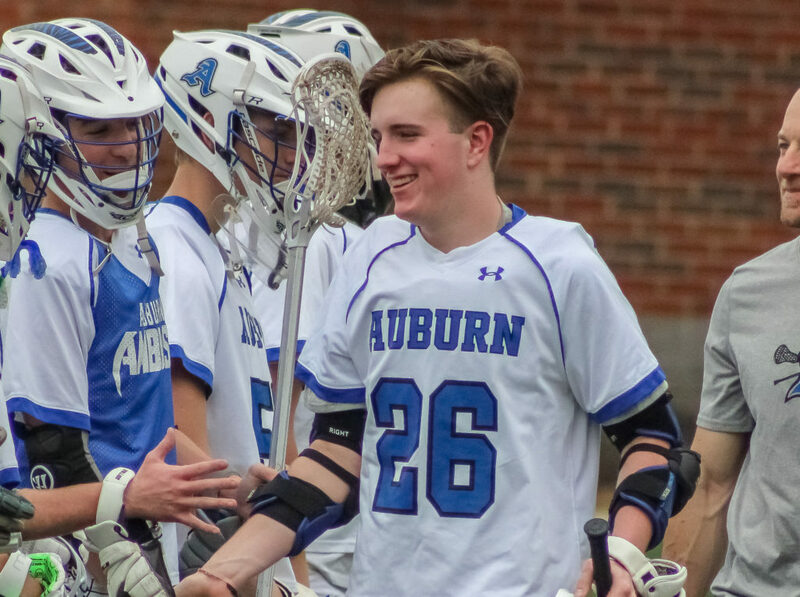 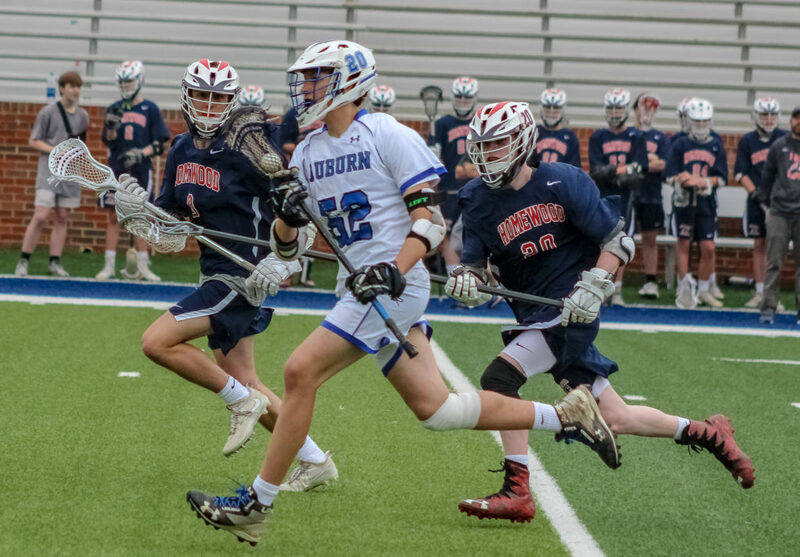 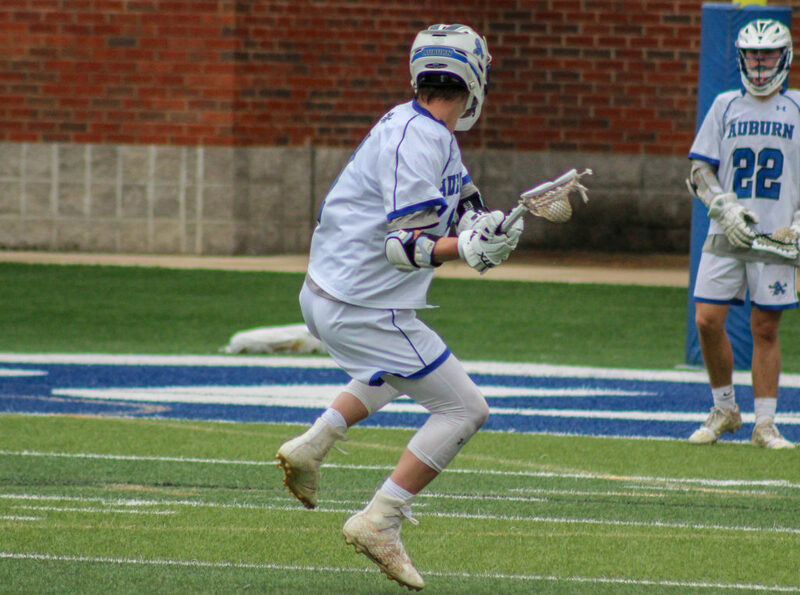 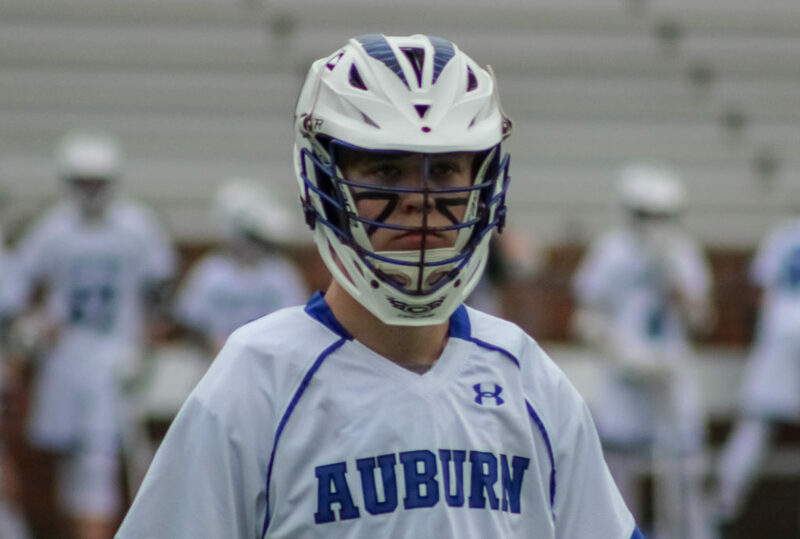 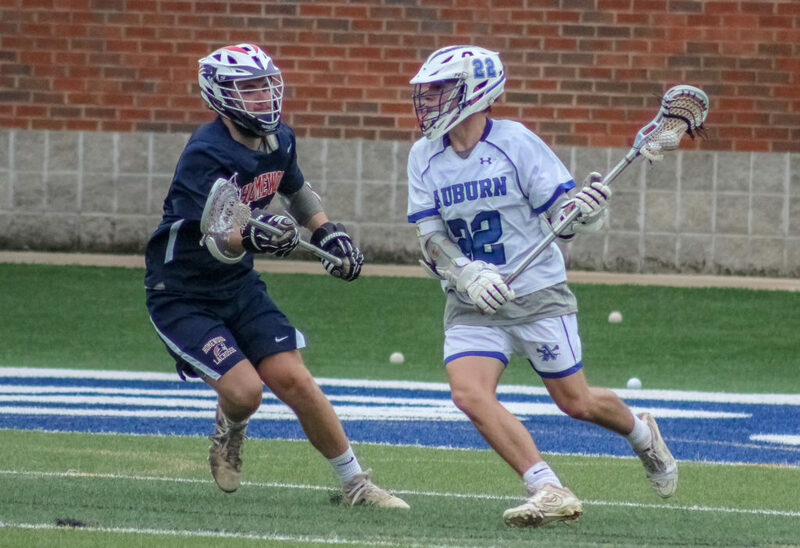 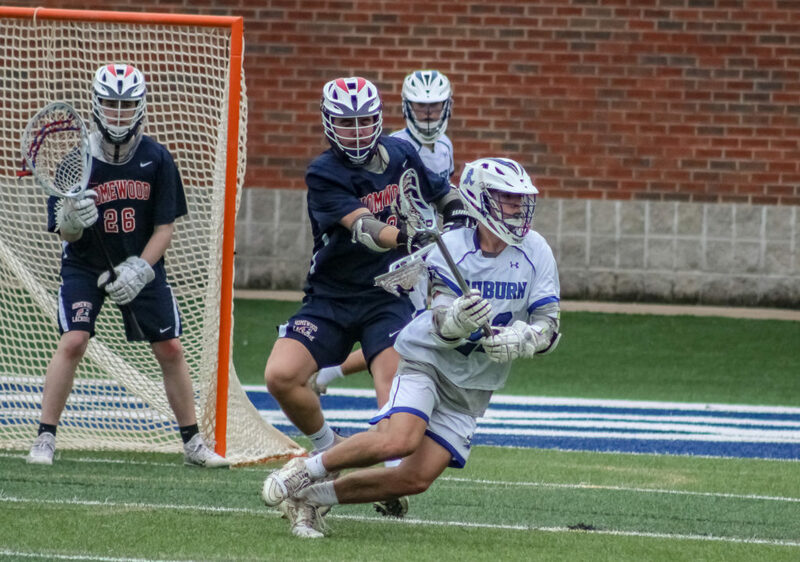 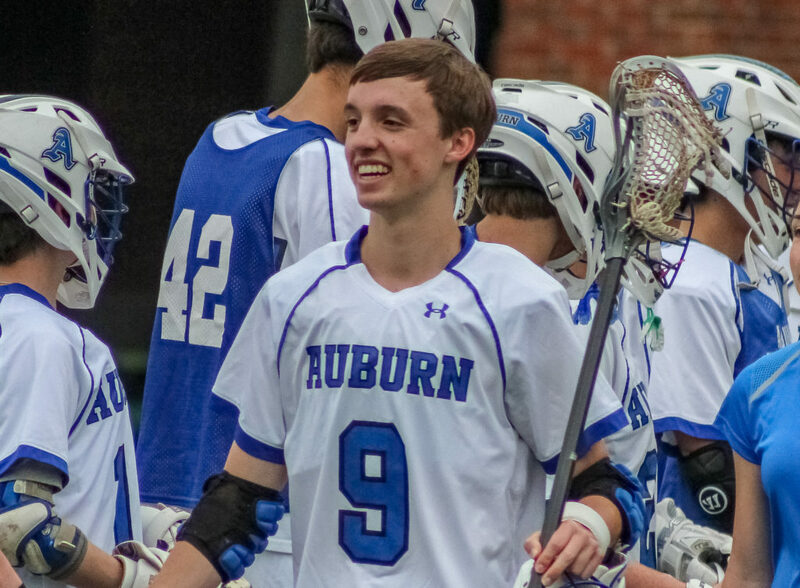 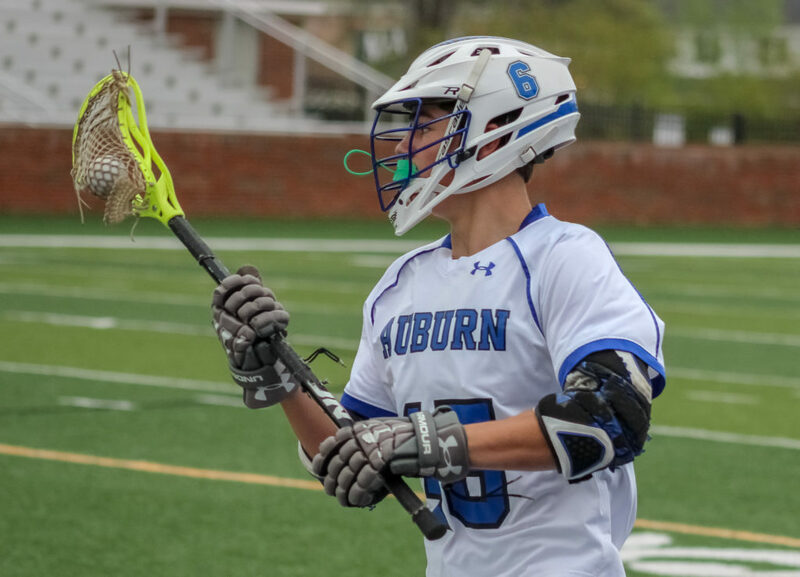 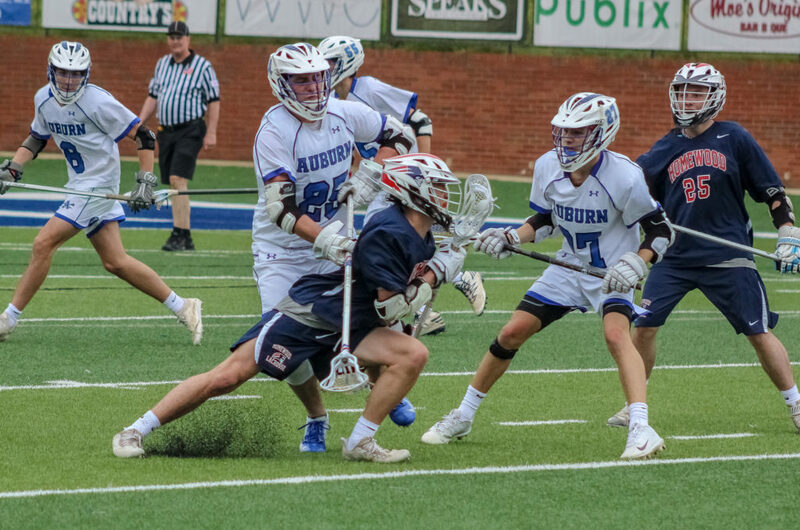 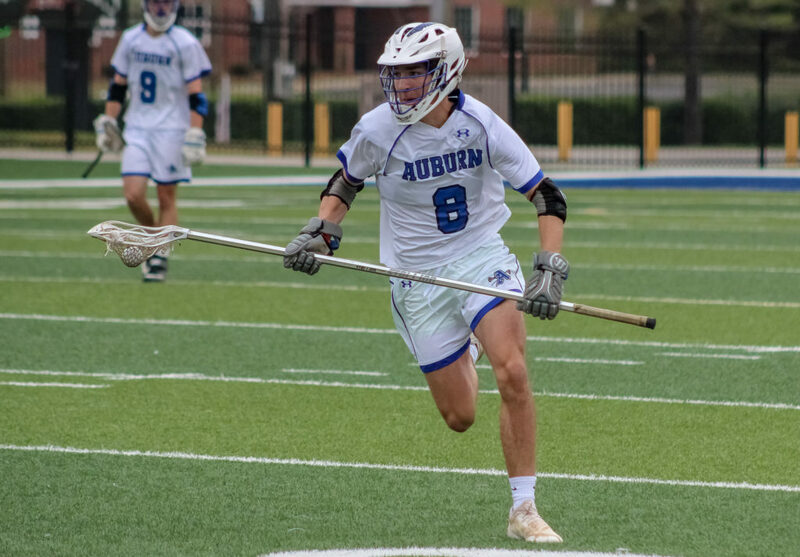 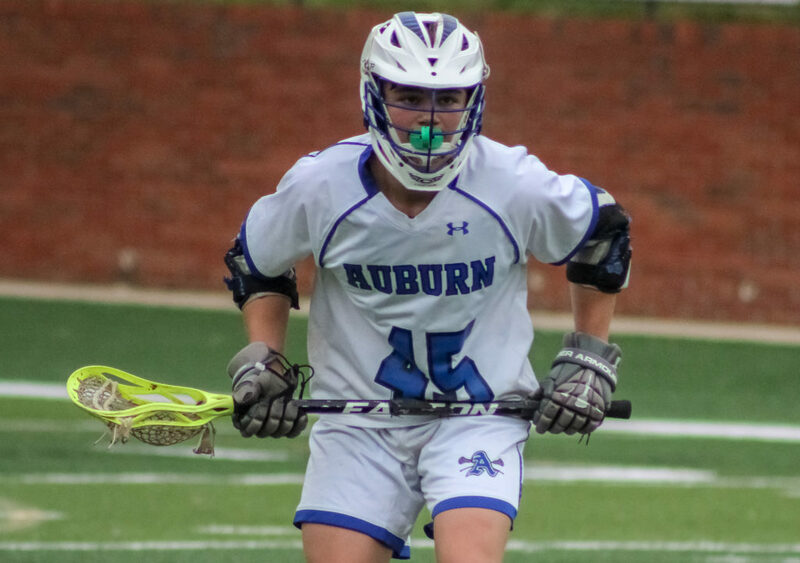 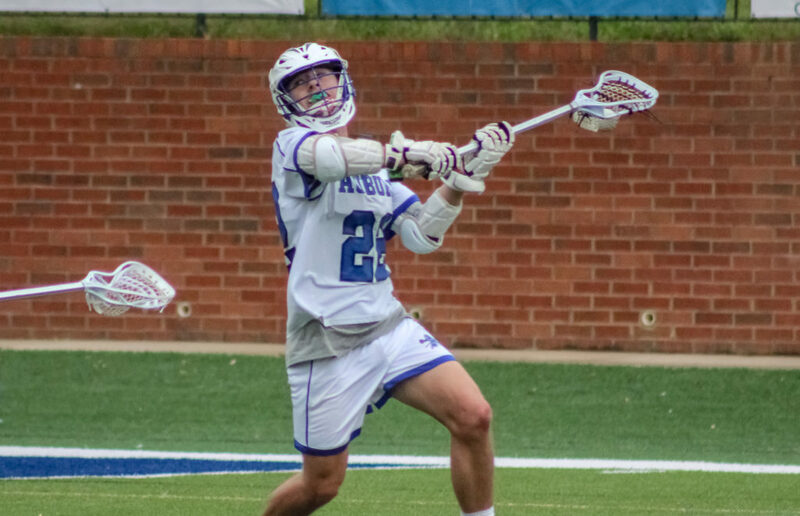 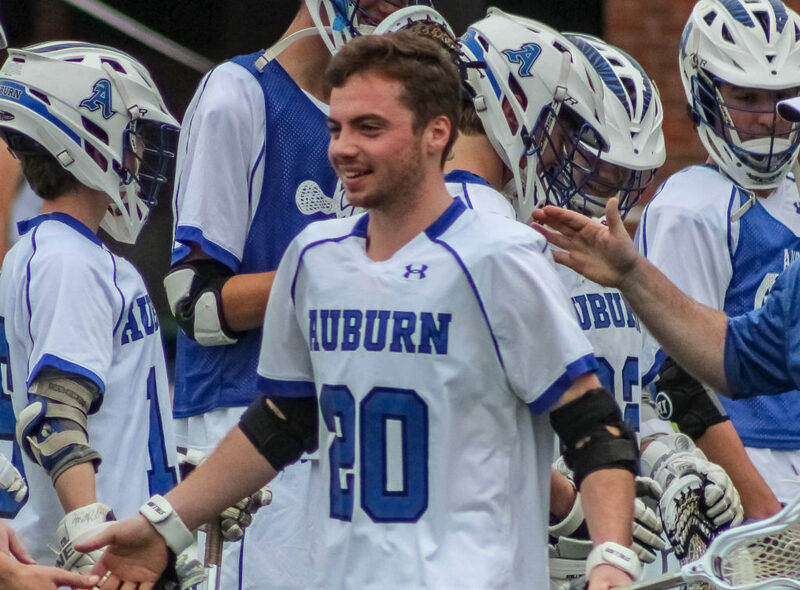 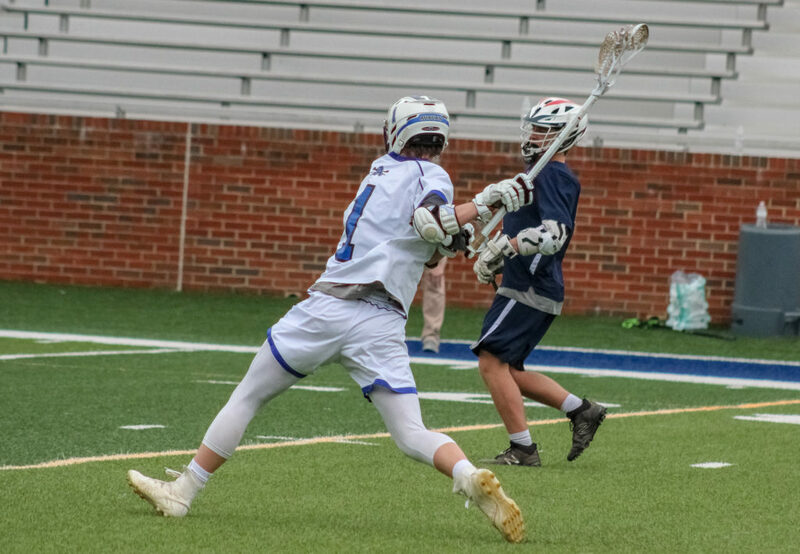 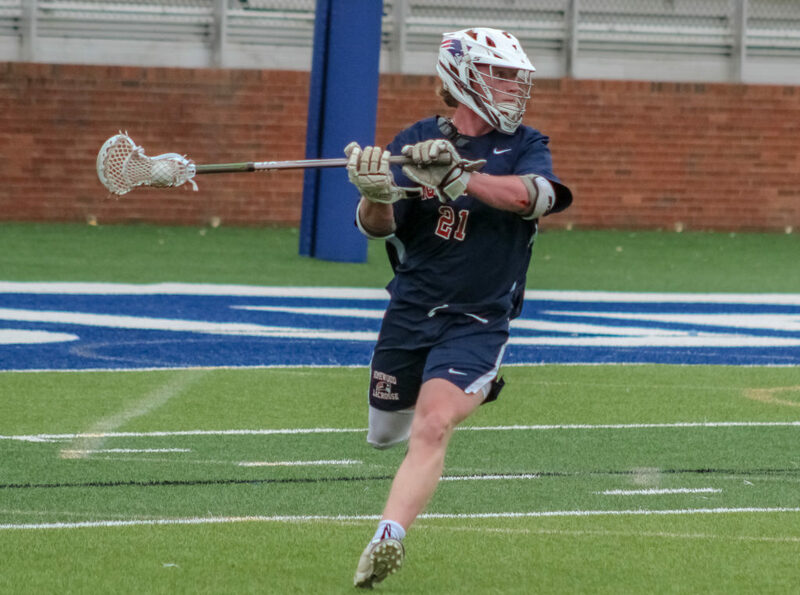 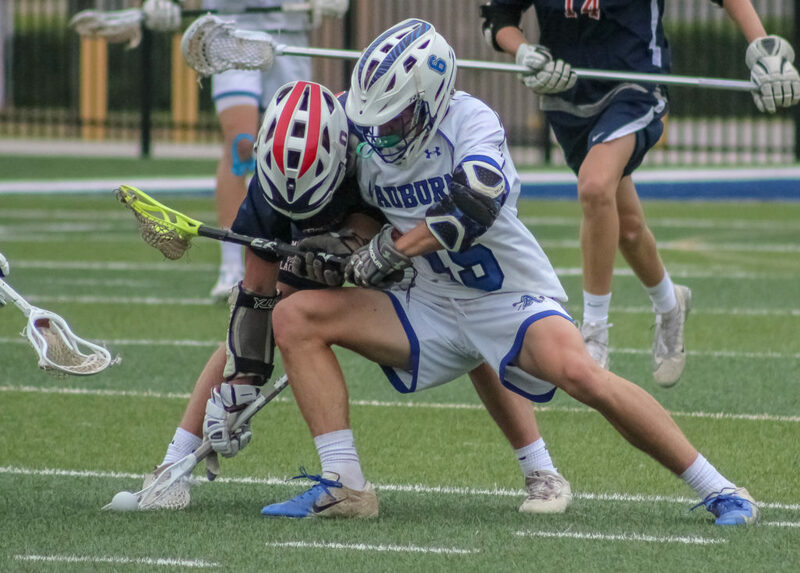 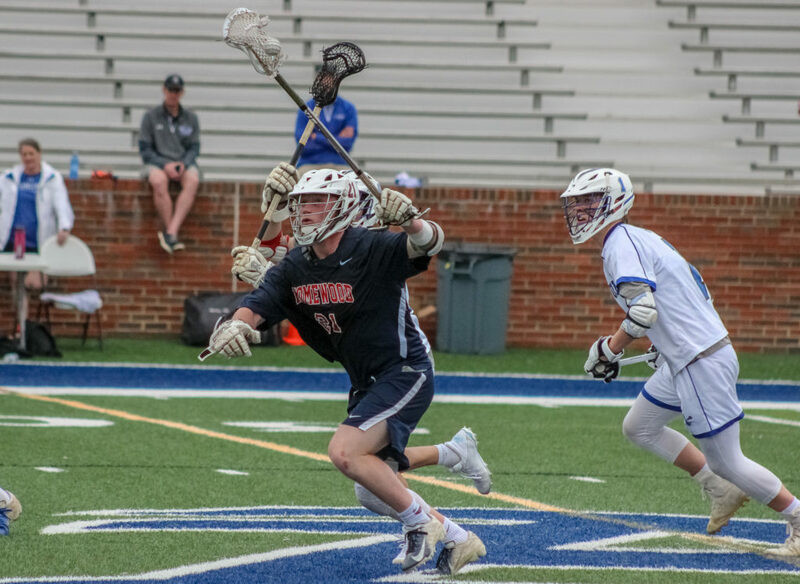 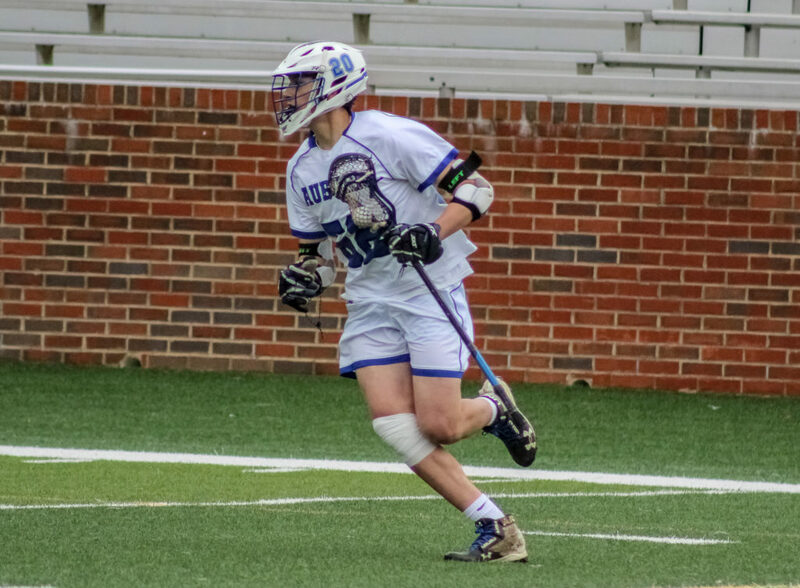 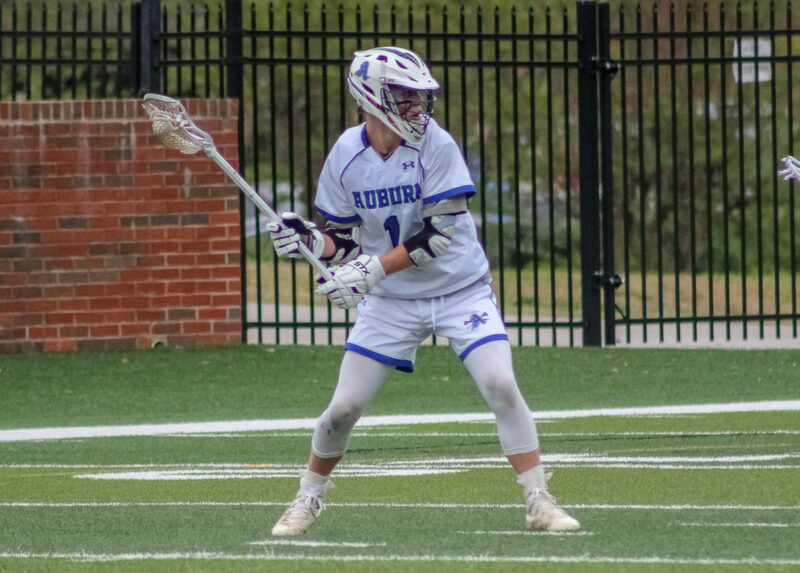 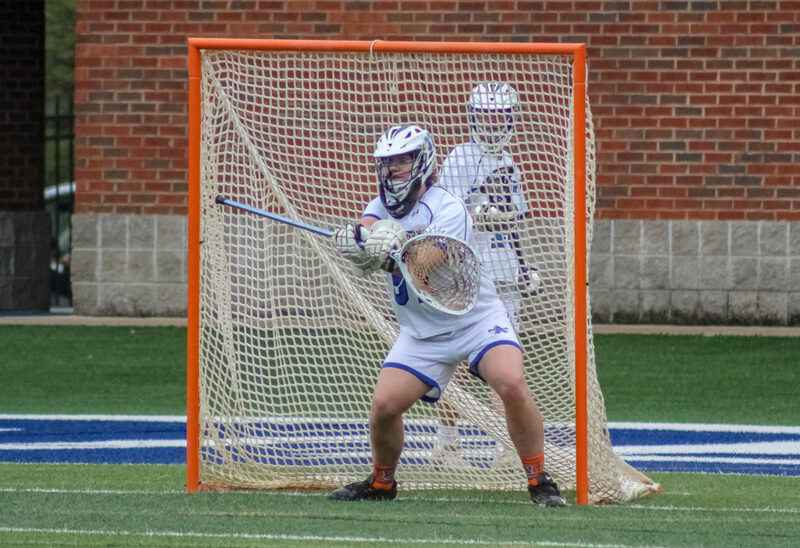 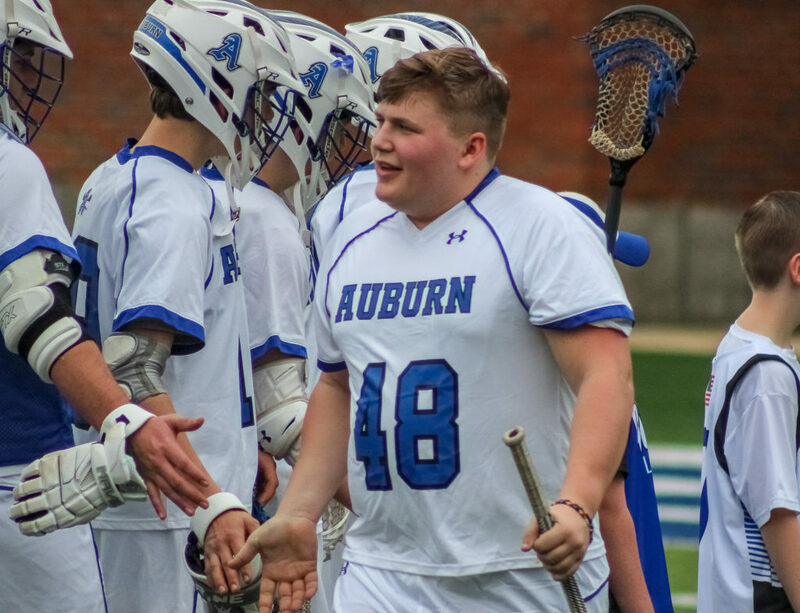 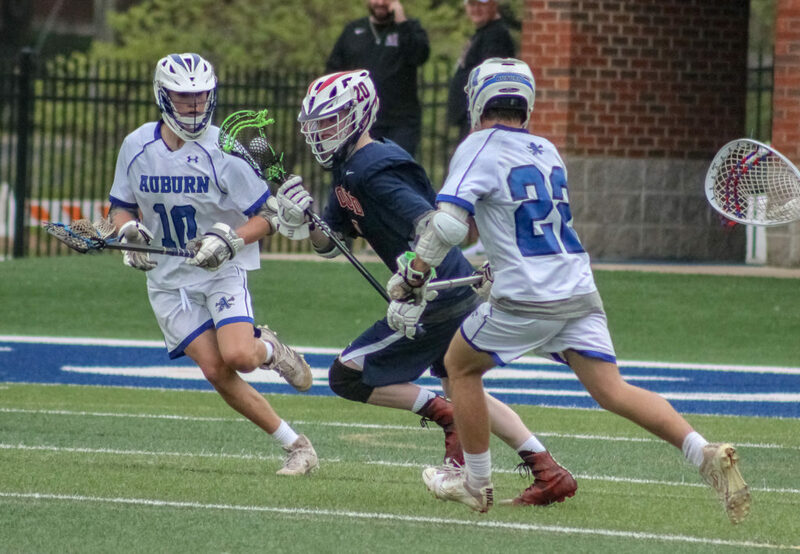 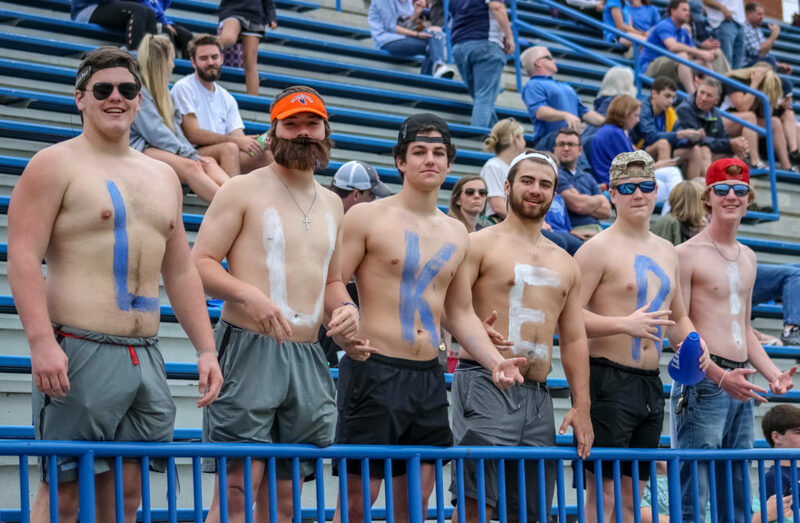 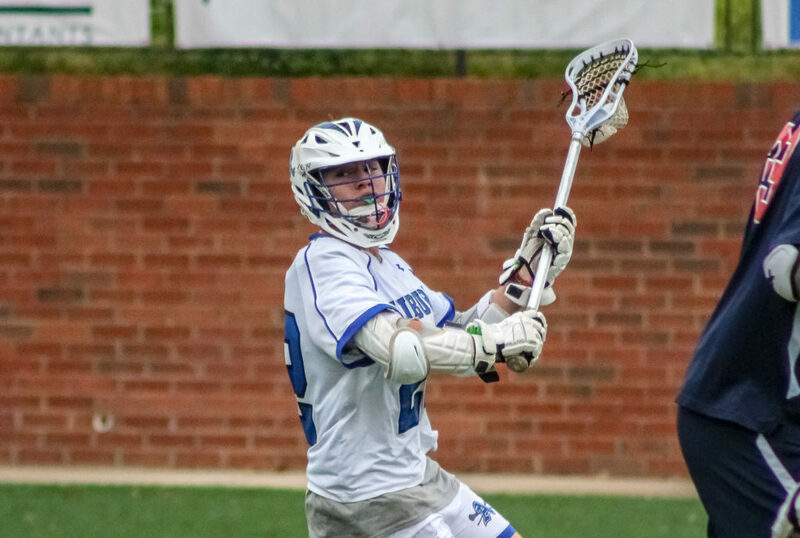 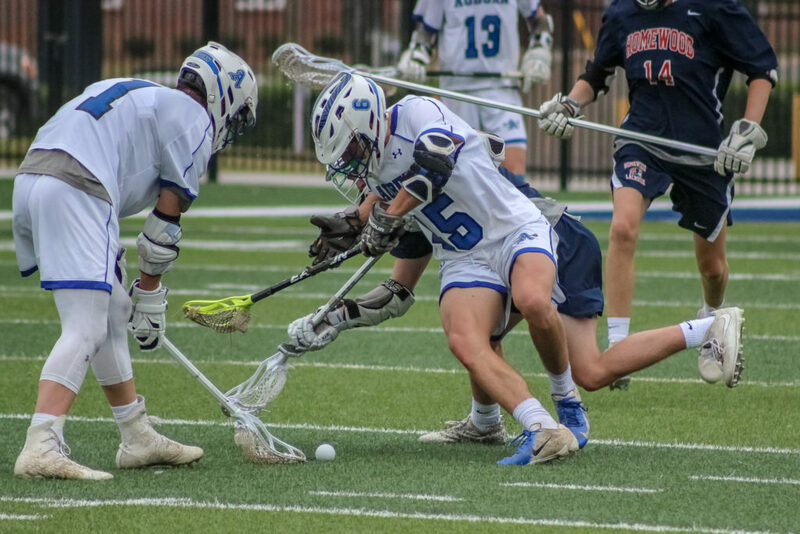 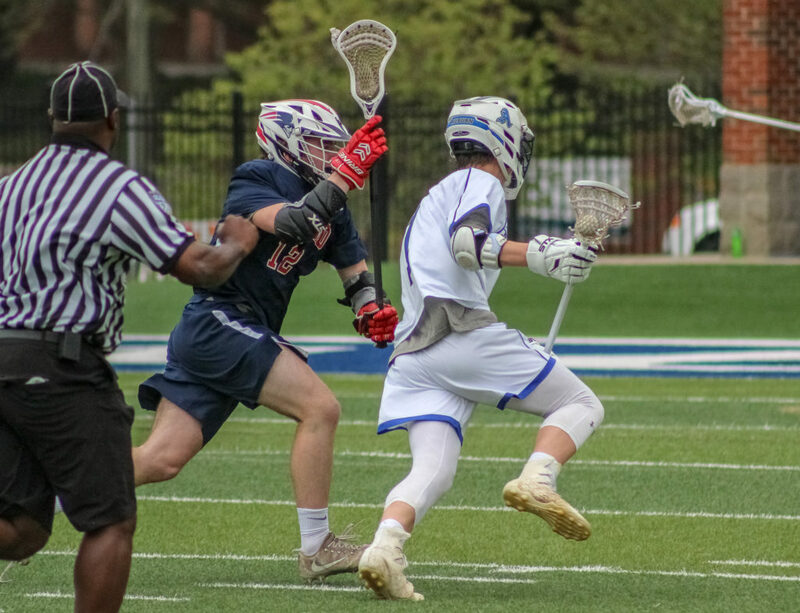 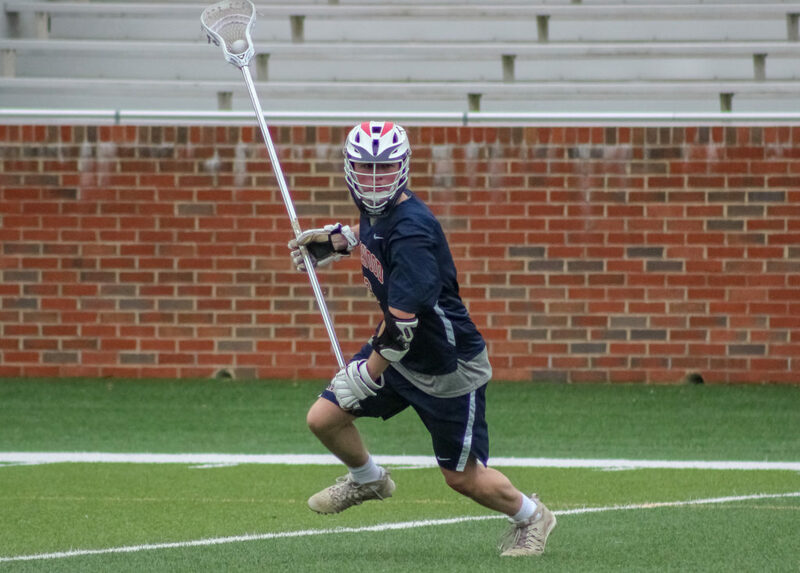 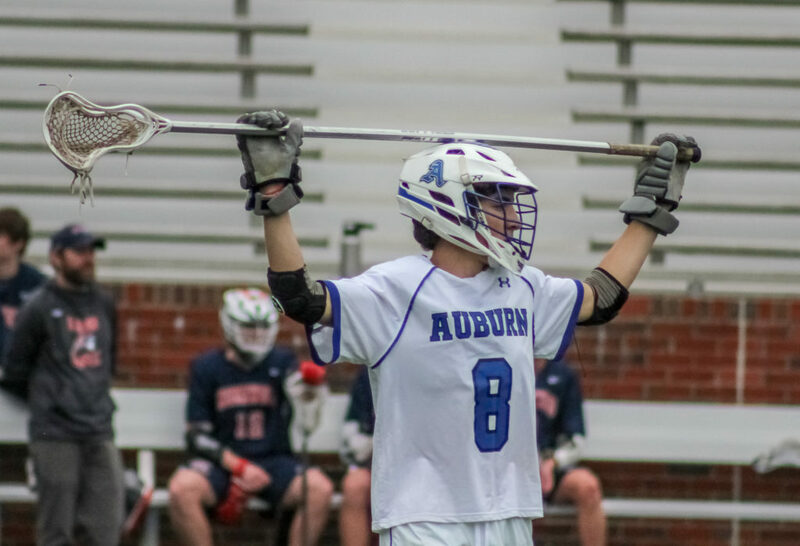 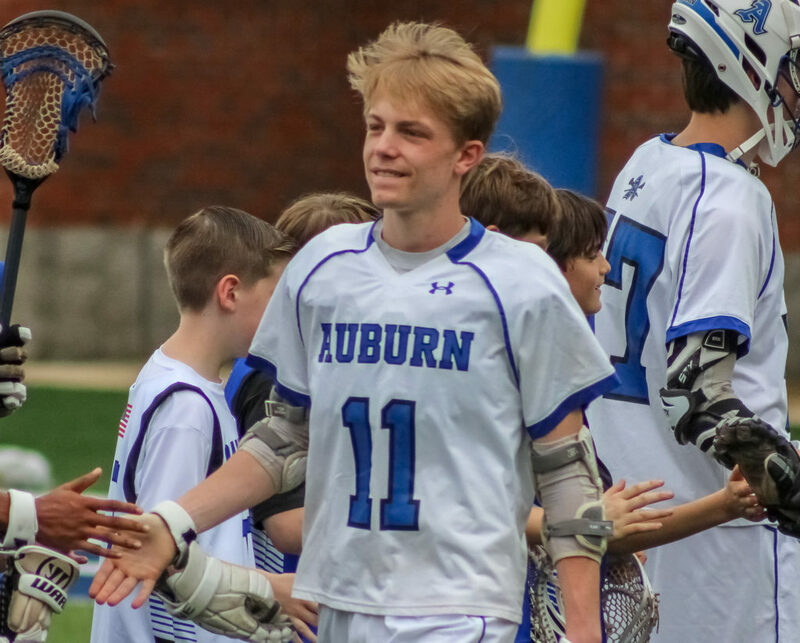 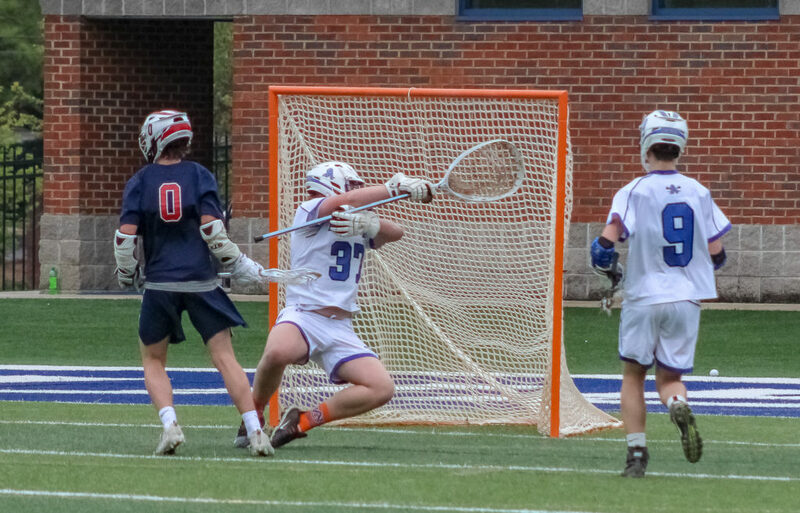 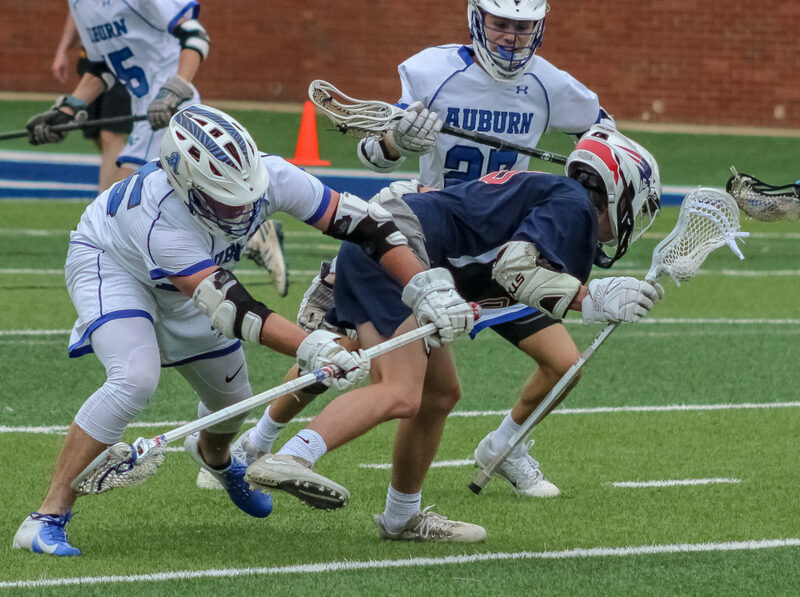 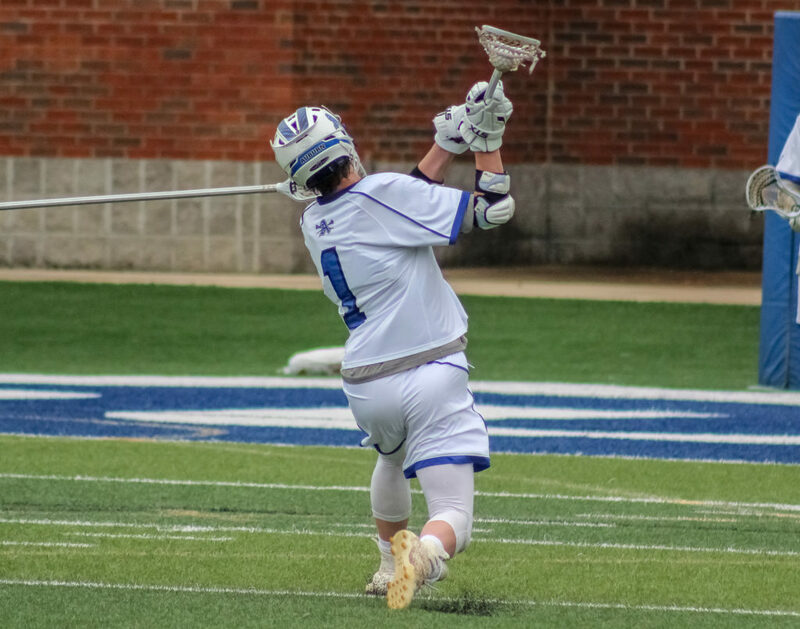 Auburn, AL – The Auburn Tigers notched their third consecutive victory knocking off the Homewood Patriots 17-10 Saturday in the fifth annual Auburn Lacrosse Classic at Duck Samford Stadium. 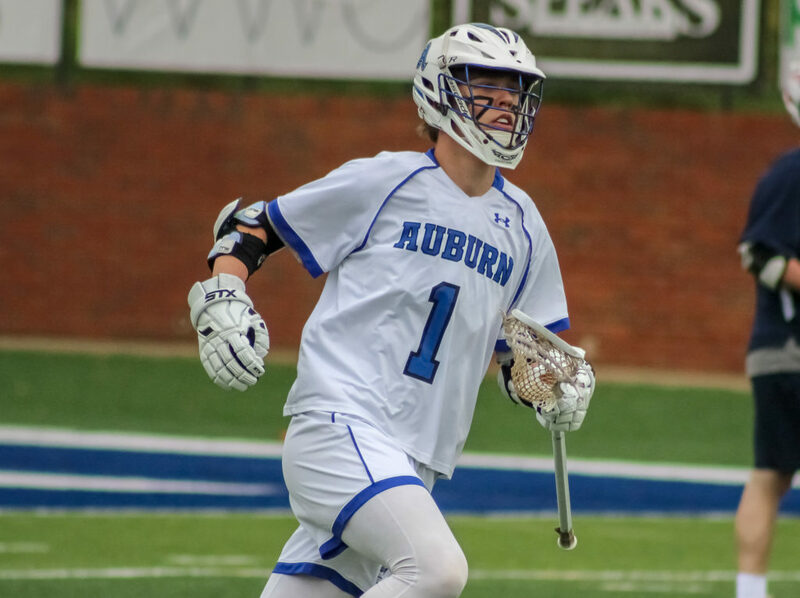 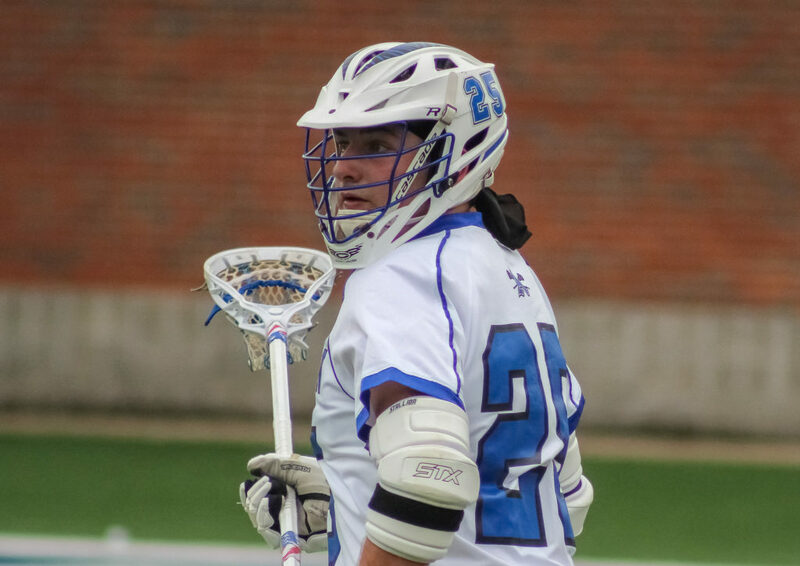 The victory in the Classic, followed by the Tiger’s 14-6 win over the Spain Park Jaguars Sunday, improved Auburn to 6-2 on the season. 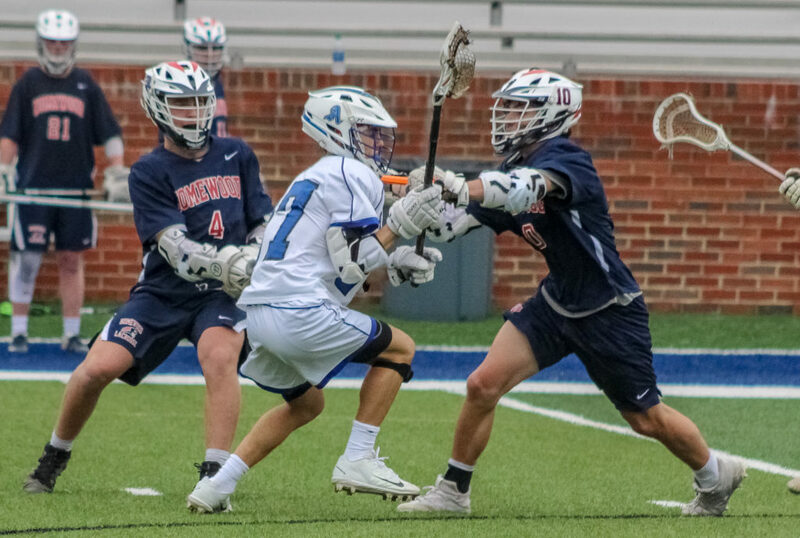 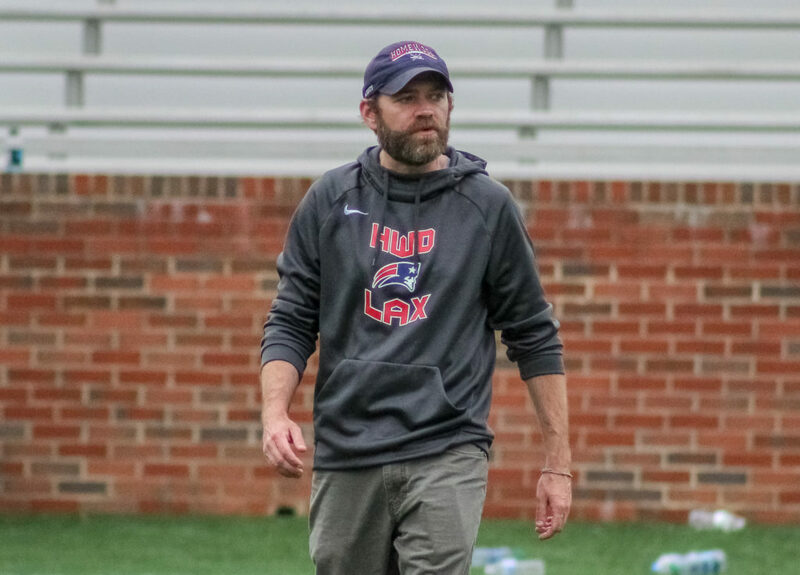 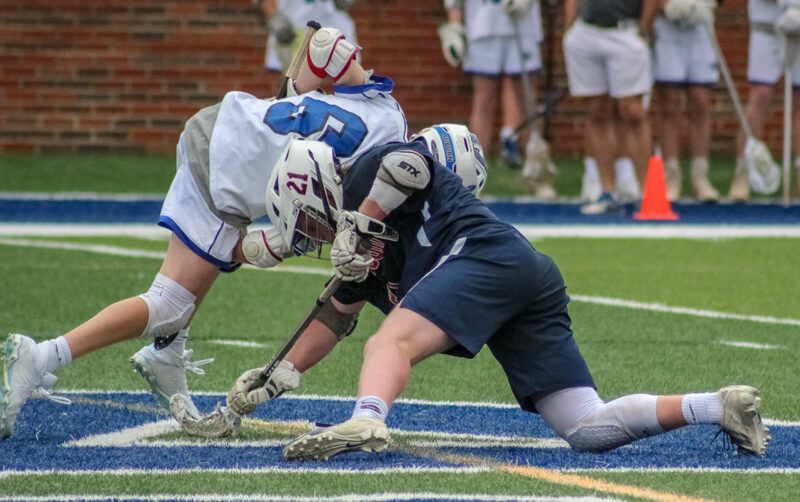 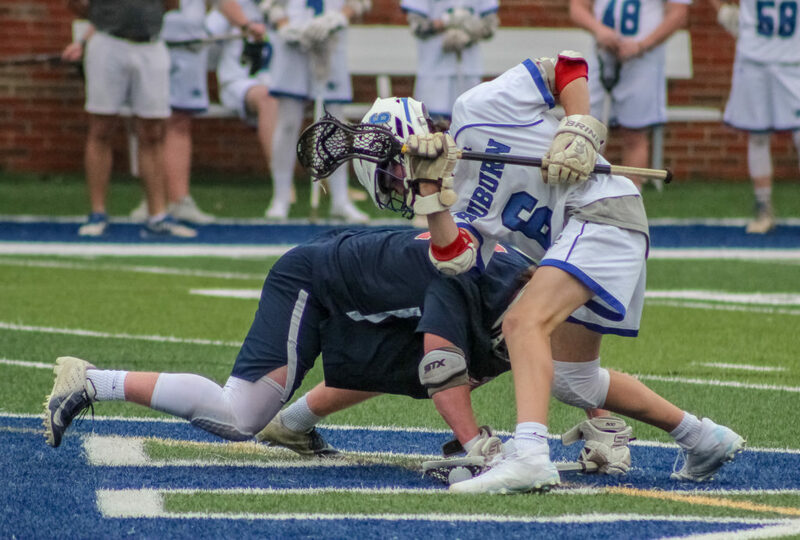 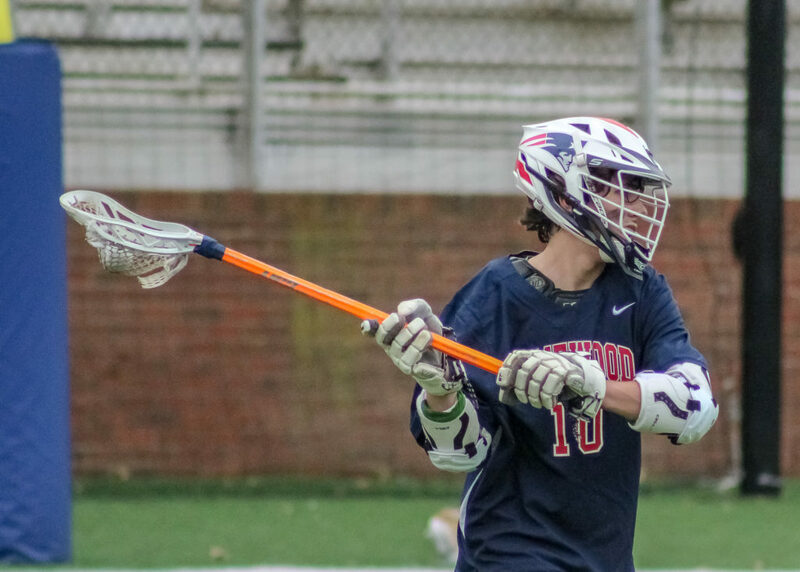 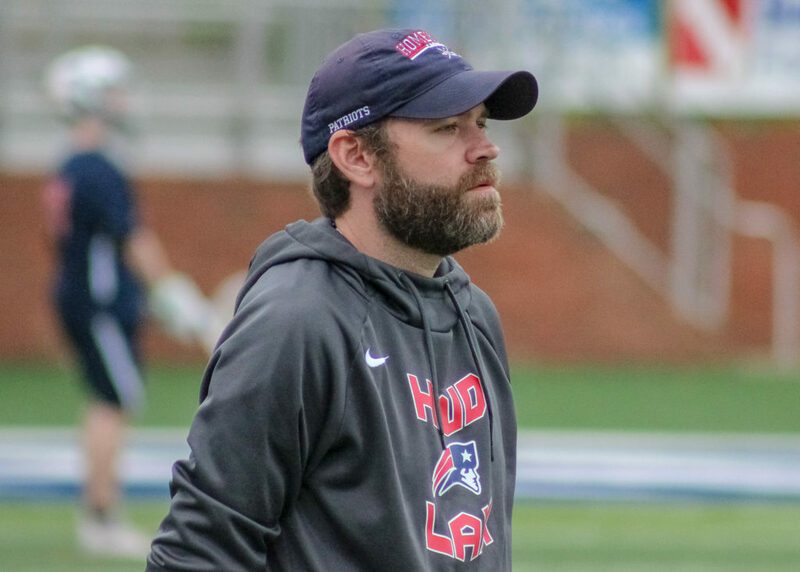 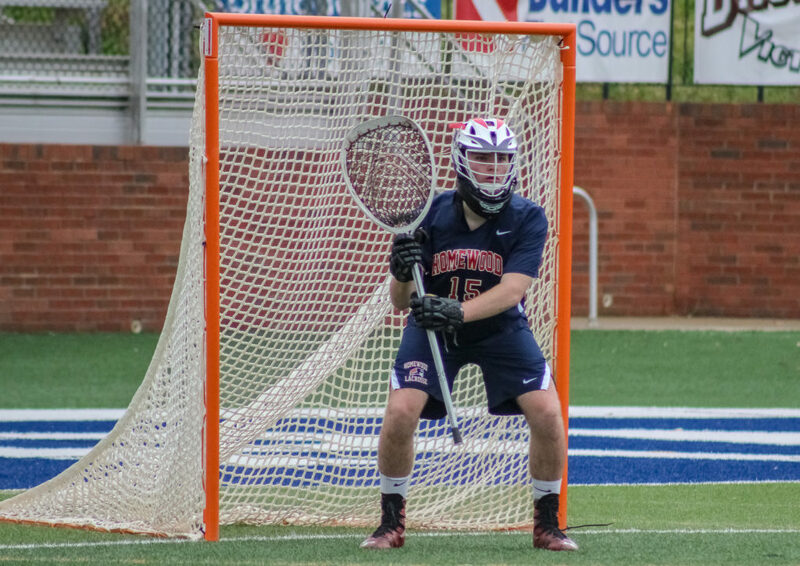 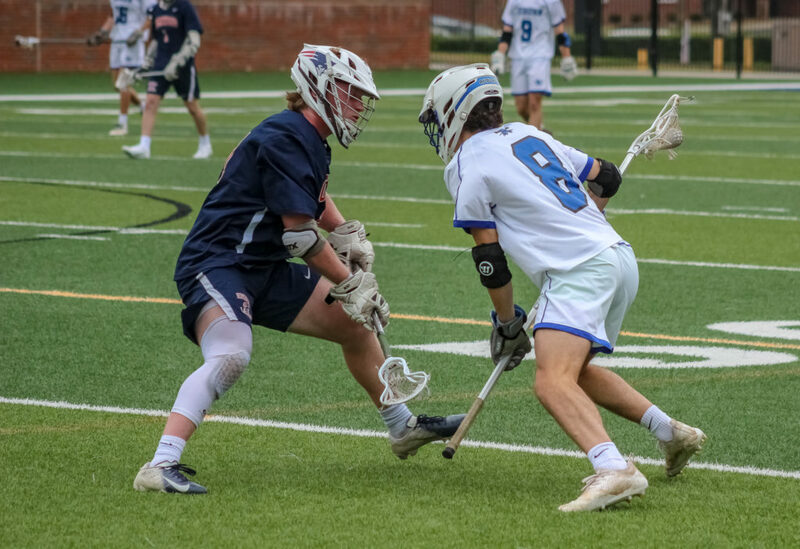 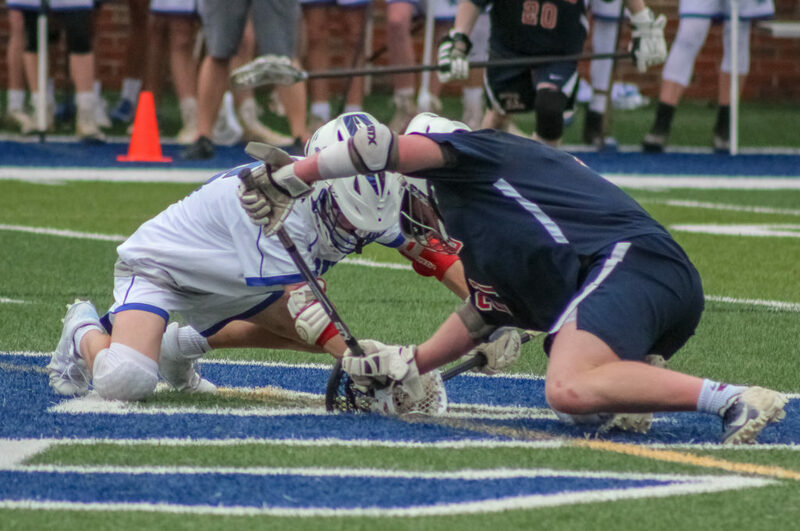 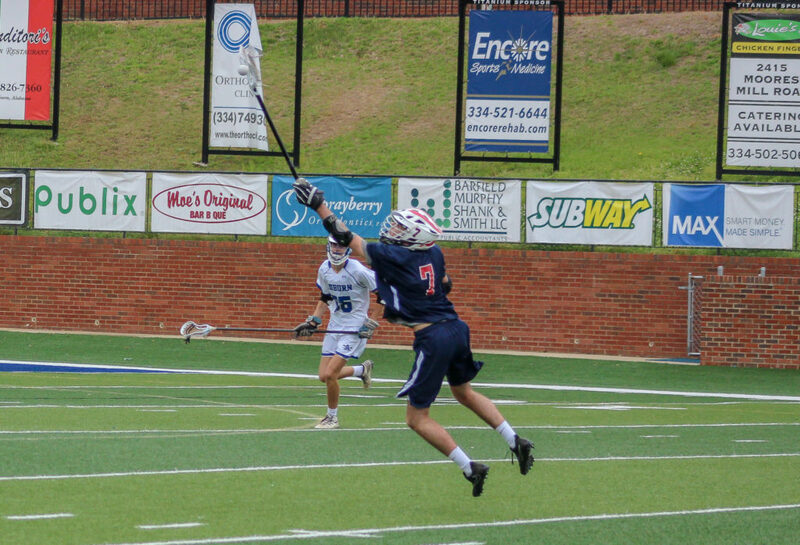 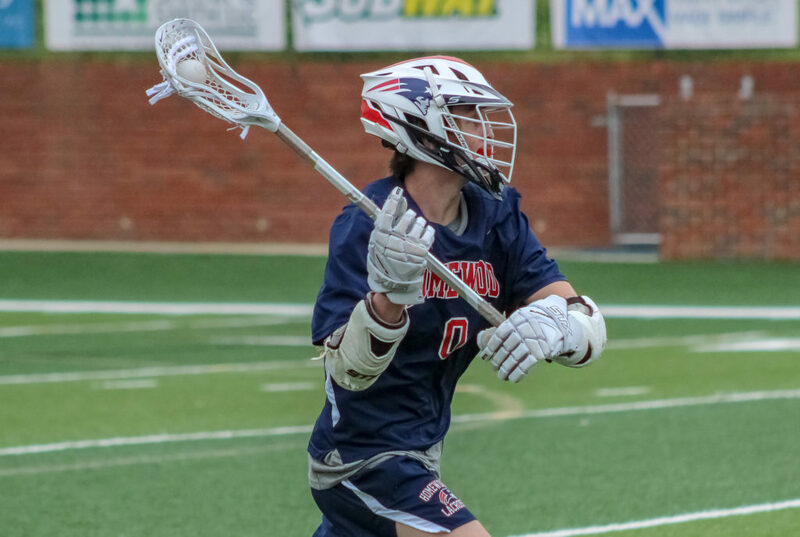 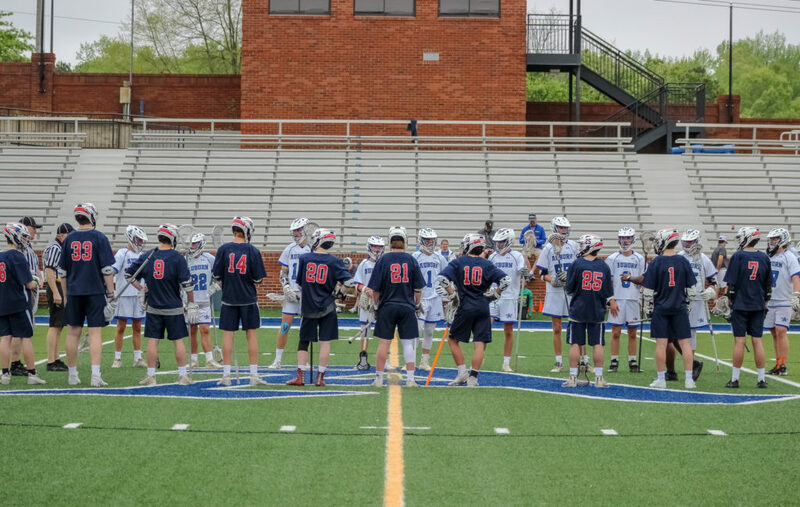 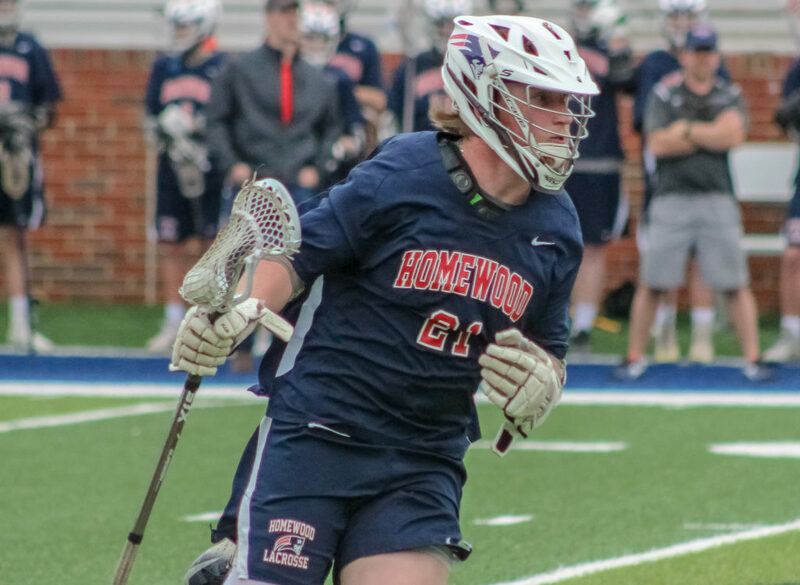 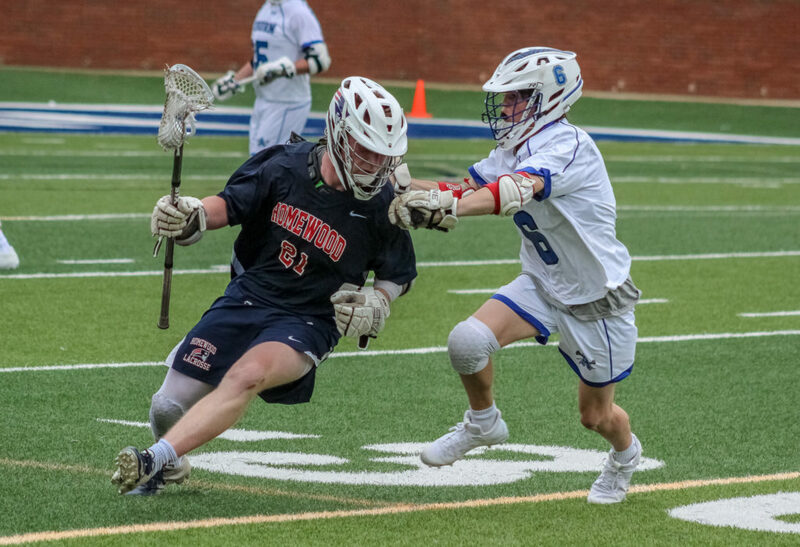 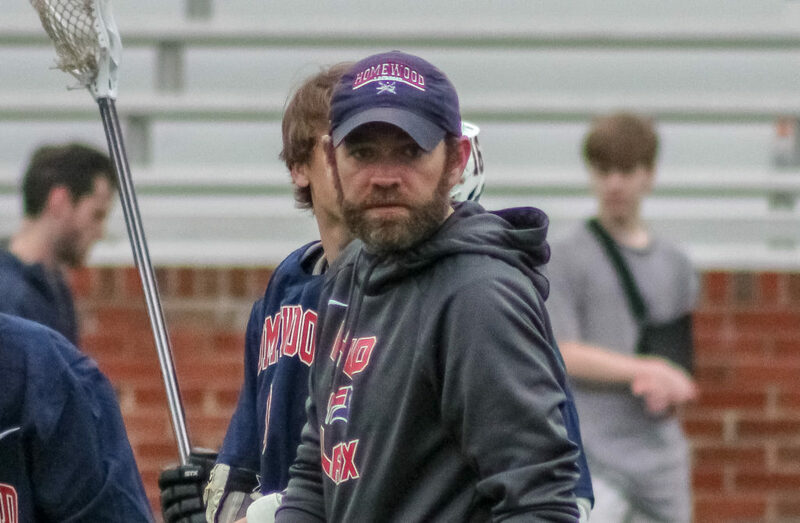 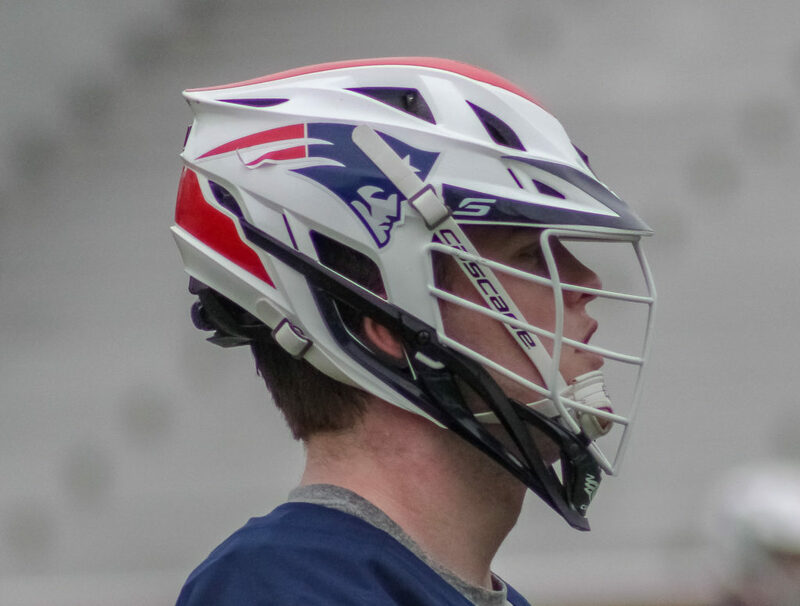 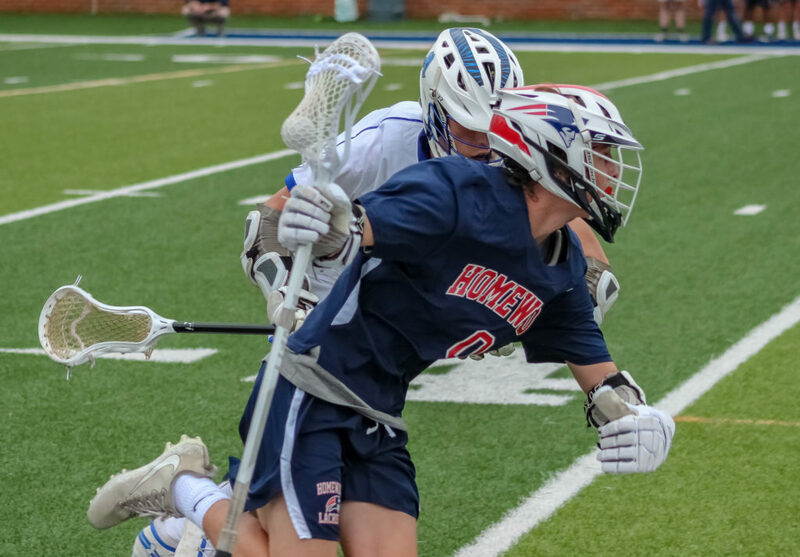 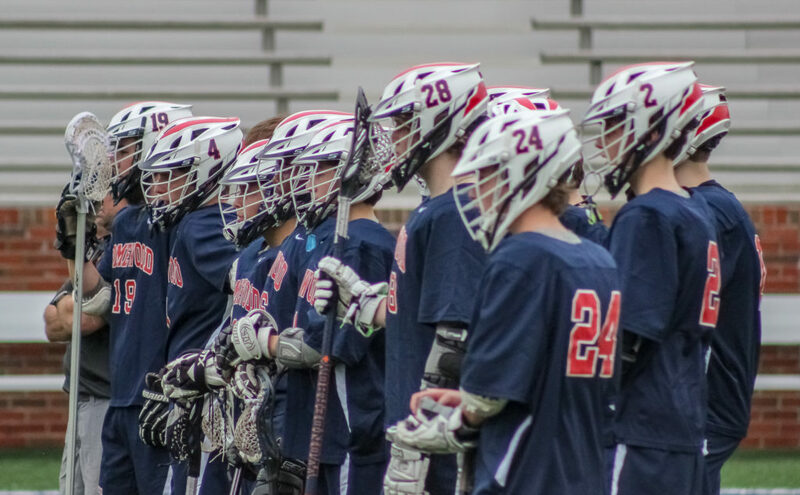 The loss snapped Homewood’s four game win streak and dropped the Patriots to 6-3 on the season. 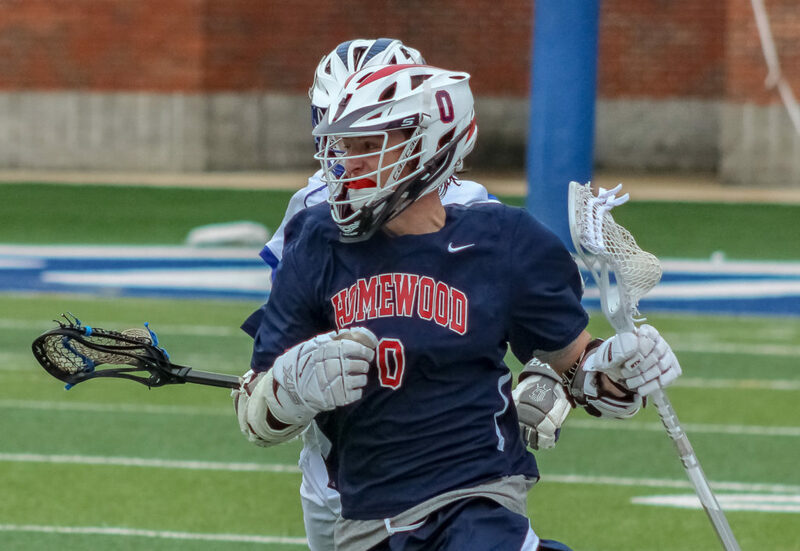 Homewood returns to West Oxmoor Friday night as they host the Hewitt-Trussville Huskies (3-8) before capping the conference season with road games at No. 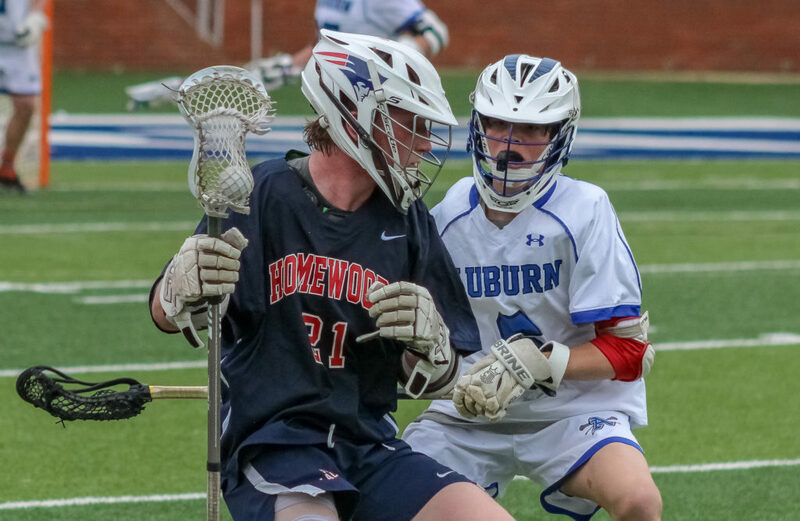 2 Mountain Brook (8-1) and top ranked Vestavia Hills (7-0). 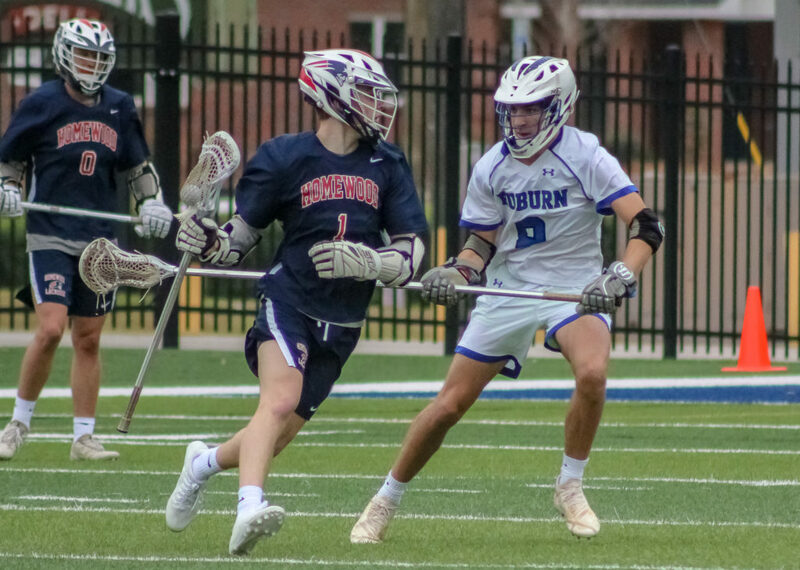 Auburn welcomes the Hoover Bucs (3-4) to The Duck Sunday afternoon before closing out the regular season with three consecutive top 5 matchups against Briarwood (6-2), Oak Mountain (7-2) and Vestavia Hills (7-0).